This month, director Ava DuVernay made film history when she because the first black female director to be nominated for a Golden Globe for Best Director for her extraordinary “Selma.” No small feat since that also makes her only the third black director ever to be nominated for a Golden Globe as best director, male or female. And this follows on the heels of her becoming the first black women director to win the Best Director award at the Sundance Film festival for her previous film “Middle of Nowhere,” which she made for only $200,000. And she is currently a favorite to get a Best Director Academy Award nomination, making her again the first black female to ever do so. So Ms. DuVernay, one could say is used to breaking barriers and blowing away pre-conceived expectations. "The "first" of it all is the bittersweet part. I'm certainly not the first black woman deserving of this. You can't tell me that since 1943 there's not been another black woman who's made something worthy of this kind of recognition. But for whatever reason it hasn't happened. The time is now. I thank them for recognizing Selma. I just hope … that we get through all the 'firsts,' that we can just get to the good stuff and that people can just make their work and move on from [that conversation]." But it was a revelation that came to her one night on the set while working as the unit publicist on Michael Mann’s “Collateral” that she realized that she could be telling her own stories. After that, she began making her own film starting out with short films and documentaries and eventually her first feature film 2010’s “I Will Follow,” which she self-financed for $50,000. The film went on to acclaim and was shown at several film festivals, including the Chicago International Film Festival. That film was followed by 2012’s “Middle of Nowhere,” starring Emayatzy Corinealdi and David Oyelowo, and, during this time, she also co-founded the African-American Film Festival Releasing Movement, (AAFRM) which distributes black cinema into movie houses. 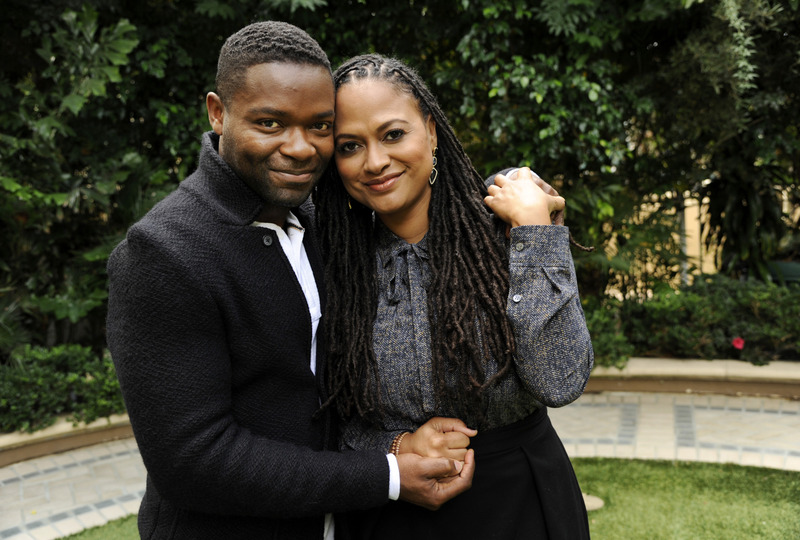 But with “Selma,” DuVernay has reached a new level and a wider showcase to display her amazing talents. 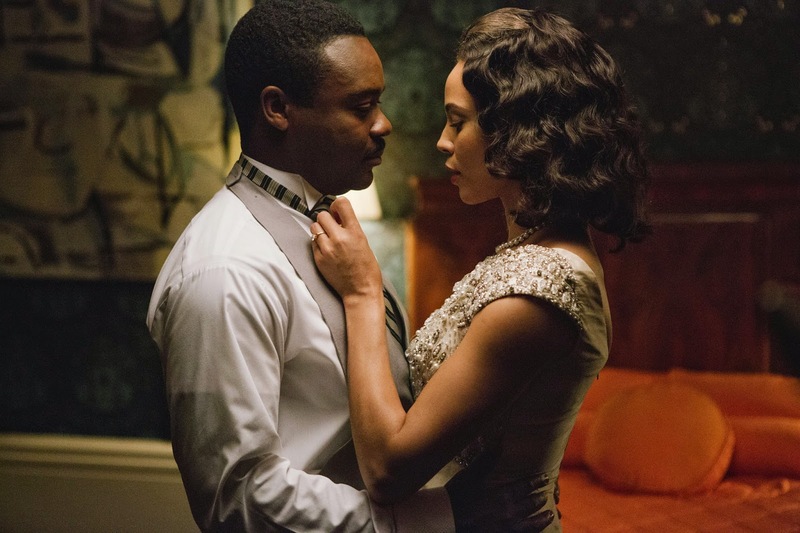 And with recent current events in this country proving that the so-called idea that this country is in a “post-racial era” is very far from reality, “Selma,” which opens on Christmas Day in N.Y. and L.A. and in January in rest of country, could not have arrived at a more perfect and critical time. It proves the old adage that the more things change, the more they stay the same. 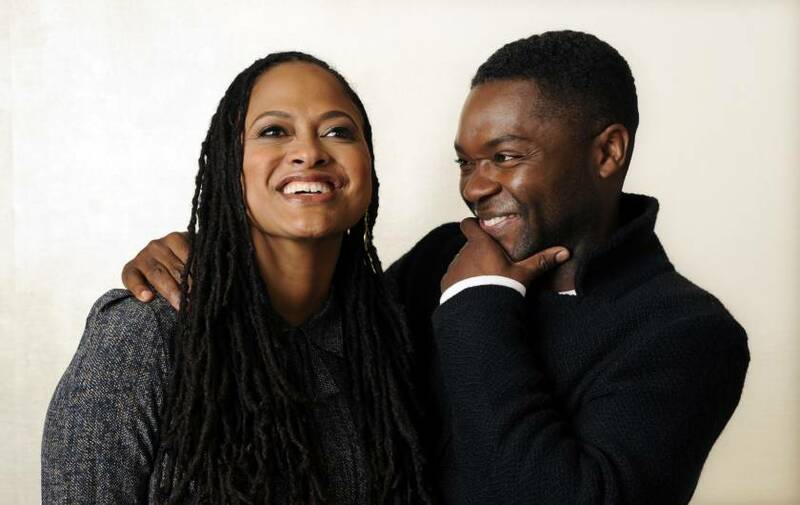 Recently, we had an opportunity to meet up with both Ms. DuVernay and Mr. Oyelowo while they were on the publicity tour for “Selma” and talked not only about the relevance of the film today but several other subjects as well including her touching remembrance of Ebert. First, I have to tell you how exciting it is for me to be in the presence of next year’s Academy winners for Best Director and Best Actor. AVA DUVERNAY: (laughs) Yeah, right, OK with that. 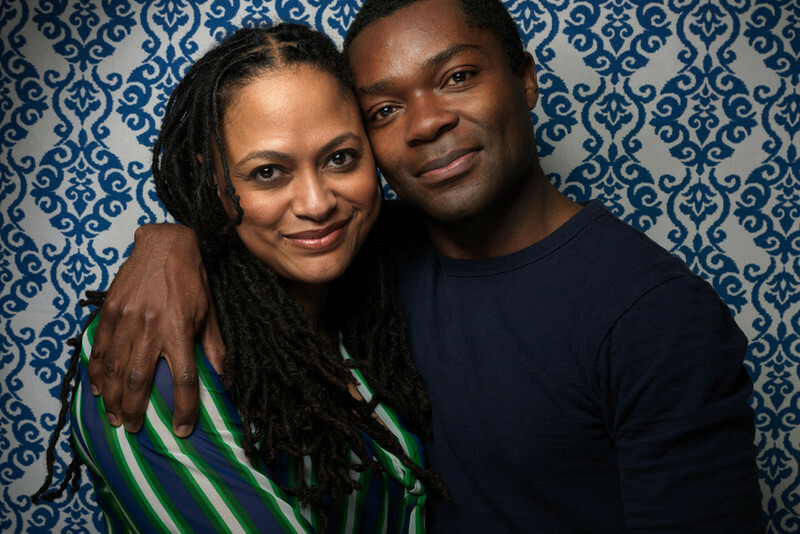 DAVID OYELOWO: (laughs) You must have some telepathic powers from some other planet. No, seriously, twice before I have met directors who the very next year won the Oscar. So I’m a lucky charm. Go ahead and touch me. Go ahead. AD: (laughs) O.K. if you say so. I’ll take it. DO: (laughs) I’ll take it too. AD: That’s true! That’s true! I mean it’s really amazing, this cultural moment that we’re in. But I had this feeling while I was watching the film that it could possibly act as a sort of catalyst as well. That people would see “Selma” and think to themselves “Wow! Half a century later and we’re still fighting the same fights and something has to change. We have to do something”. Because we’re in the 21st century now, the George Jetson age, and it’s the same damn thing. AD: Yeah. (Laughs) Yeah! I hope so. I think that it can illustrate the cycle, the vicious cycle of it. It’s as if we are very much in this moment. We are very much in pain about what has been happening recently. What happened in Ferguson what happened with Eric Garner what happened with Tamir Rice in Cleveland. Well you heard that the cop who shot Rice had previously resigned from another police force because he was deemed too emotionally unstable to do the job and to handle a gun, but the Cleveland Police hired him? AD: Lord, Lord. Like this Eric Garner case. The chokehold is illegal; the coroner ruled it as homicide; there’s video that is as pristine as day—better than any bodycam can give you, and still no indictment. So I think what this is is that we feel that we are in this moment. But what I hope “Selma” does is to illustrate that this is not a moment, this is a continuum. It’s a cycle, a vicious cycle. So when you realize that, then that’s when you stop and you try to figure out a better way. “O.K we have done that—NOW what do we do?” I don’t want “Selma” to advocate necessarily being “on the nose’ with the tactics that were done then. I think that there’s a lot to learn from that time that’s not being executed. The question is how do you take what that was and move it to the next step? Because it seem like we always start over. It’s like black filmmakers. One person’s success doesn’t translate over to the next person. You always have to start over. It’s like whenever something tragic happens, it seems that we always seem to do the same thing over again. Because we are not recognizing the continuum and building on the tactics. The systemic racism, the terrorism has grown and morphed and modernized, but our reaction to it is the same. So, I feel we need to catch up because it’s really a battle that we’re in here. So, yes. 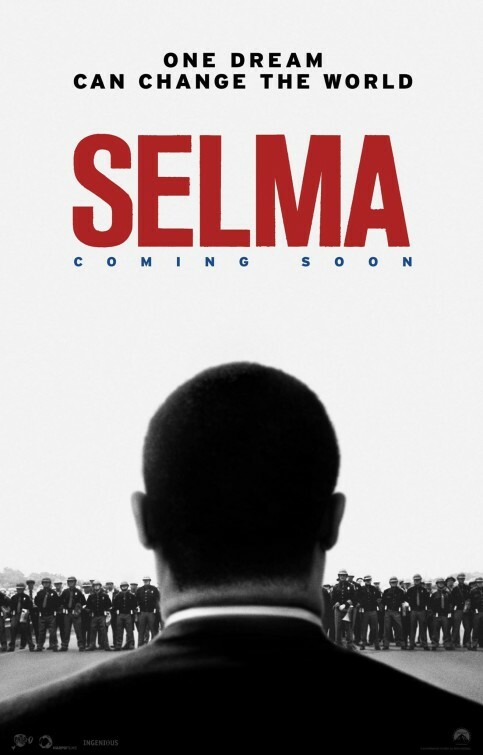 I hope “Selma” is a reminder that: “Gosh! This is same thing! This can’t be!” Hopefully, that does something chemical with folks where we get out of the idea of reacting just to now and we react instead to the system, to the historical legacy. DO: Well, you know, we’ve been having these conversations linked to the film, and I have to admit I have been talking about “Selma” being indicative of how strategy was used; of how leadership was used. But you look at the Eric Garner situation and the fact of the matter, like Ava was saying, that the tactics employed by SCLC and those groups that came together for Selma would not work today. Because the means by which the Voting Rights Act got passed is that they handpicked Selma where there was a very clear disenfranchisement of black people; they made sure the press and cameras were present; they shook the tree and had people who were racist act out on camera. Well, we’ve just seen that with Eric Garner. The cameras were rolling, as Ava said, with pristine footage and yet this situation there is no indictment. The truth of the matter is this virus of systematic racism has gathered momentum and has morphed into a virus that has become more difficult to kill with the antibiotics that we have. And what that means is that you have prosecutors who are in cahoots with the police in terms of being impenetrable, they produce 5000 pages of documents that we cannot decipher. It creates this smoke screen where as if it was a simpler time in 1965. You could be at home, watch bloody Sunday and go “Oh that’s not O.K.! I’m going to Selma” and the President is shamed into acting. Yes, it feels like something is going on, as Ava said. We have to find a new answer. The tactics need to change in relation to what is actually going on which is more insidious. But you have been honest in that you talked about that in the original screenplay, it was mainly about Johnson and what he did during Selma like “Mississippi Burning,” in which white FBI agents are the heroes of the Civil Rights moment while black people where in the church for deliverance. And when you got the script you said this is not the story I want to tell. I want to tell the story of what the people on the ground out in the streets were doing who did the real work. AD: (to David) Didn’t I tell you that we were going to have a real conversation with Sergio? (laughs) Yes the original script was more of a mano-a-mano between Johnson and King and it was tilted more towards LBJ. So it was in a sense another “Mississippi Burning,” with a white protagonist, where we’re seeing history through the lens of a white savior, which was something that neither David or I or anyone who is around the project as it is now was interested in. So, yes, it was vigorously changing the point of view of it, including everything you get to see about the marriage between King and Coretta, and all the women of the moment that were bought into the film. But basically anytime you see black people in the movie (laughs). The event involving the four little girls; I rewrote all the speeches because we didn’t have the rights to the speeches; all the scenes involving the strategy discussions; the quiet moments with King and Abernathy in the jail; with John Lewis in the car; the idea of slowing down the violence like the scene with Jimme Lee Jackson and King in the morgue after a black body has been broken; what happens to that family. It’s not just the physical act. You have to stop. You have to look and you have to honor that. All those things and more were things that I thought were important and David supported to make sure that what we did. I must tell you that that opening scene with the four girls in the church just had me in dread. You know the story, you know what’s going to happen, but it’s still too hard to watch. It’s like a horror film. You bring that point in the film that this comes at a personal cost—that innocent lives are being taken. How do you prepare to play such an iconic historical figure such as Martin Luther King? I ask that because he’s someone who everyone knows—even people who didn’t know him claim they knew him—which means everyone is going to be watching and judging you to see if you got him right. I assume this was years in preparation. As you have said it was God ordained for you to play the role. DO: Yes, it was God ordained for me. When I first read that script I felt God told me “You are going to play Martin Luther King in Selma” and I wrote it down on the 24th of July 2007 because it was a shocking notion that as a British actor, who had only just moved to America at the time and hadn’t done at the time really any Hollywood movies so to speak. This was not something that I was looking to do. I’ve never looked at Dr. King and said, one day it’s going to be my destiny to play him. But once the knowing, the spiritual knowing, had lodged inside of me, it never left me. God in his mercy had orchestrated that it took seven years. And in the seven years, because I knew that it was in my future, I started the process of studying. Even though other directors along the way attached to film didn’t necessarily see me as King, I started that work. And that work involved finding the human being. One of the blissful things of not being from the country is that I didn’t carry the weight or the deification that you alluded to. I knew him as a great human being who had done extraordinary things, but I never approached him as an icon. I always thought of him as a human being because my entry point was my faith and the fact that I shared his faith as a Christian. And I could see in the way he lived his life, which is what I aspire to do, that his spiritual convictions reflected what he did as a preacher, as a political figure, as a husband, as a father. He tried to have sacrificial love dictate what he did. That is what I hold on to. I don’t know how to be an icon. You can’t play a historical figure. Now his voice, the way that he moved, that is all part of my training as an actor. That’s my job is to find those things and I was blessed to have a captain who was steering me and a captain who I could trust to get me there. So all of those elements came together to demonstrate what you see on the screen. And also I had a formative moment when I did Spielberg’s “Lincoln,” working with Daniel Day-Lewis by being in his vicinity playing Lincoln, and I’ve literally never seen another actor do this. He was so in character the whole time that just being around him made you feel transported to 1865. And I knew that if I had this opportunity to play King one day that I would somehow try to engender that same feeling. So do you consider yourself a Method actor? DO: That’s a very good question because I don’t, but I definitely employed Method actorly philosophies for this role. Ava and I discussed the idea of staying in character the whole time which I did. I maintained the voice, not least because we were shooting in Atlanta and talking the way that I normally do (i.e. referring to his British accent) would be challenging for people… (laughs) going around saying that I was playing Dr. King. But you know I had employed it once before in a small film I did called “Nightingale,” where I stayed in character the whole time, and one of the by-products that I didn’t anticipate was that it didn’t make me second guess my choices at any point. And I thought, wow, if I can do that as King, considering all these other elements that will be going on—to know that I am making the right choice in a scene because I am staying in character—then that’s something that I had to embrace. For you, what’s it like going from a small indie movie such as “Middle of Nowhere” made for $200,000 to an almost epic film such as Selma which cost $20 million? True, in Hollywood studio terms, it’s not a huge budget by any means, but still it’s an epic period film on a large canvas with many players about a major turning point in American history. AD: That’s true, but for me, my entry point was the things that I knew and I know black people. DuVernay: My family is from that area, so I knew the place very well. I know how people are there. Also, I know I have some strengths as a filmmaker and a storyteller and that is the interior lives of black folks. And that’s something that I am a student of and I am one of (laughs). You caught that to a ‘T’. I’ve had that experience many a time at parties, at wakes, you name it. AD: So I knew those things. I did not know horses; I did not know tear gas; I did not know green screen. But I knew what I knew, and I came in focused on those parts with a partner that I worked with very well and we held on to those and added the gas and horses. Well, that leads me to ask if you feel that you were somehow destined to make this film? That everything you have done in your life so far, from making your earlier films and shorts, to being a movie publicist, even at one time being the publicist on “Selma” when Lee Daniels was attached to direct a few years back, and running your own firm to even meeting Roger Ebert when you were a little girl were steps to eventually making “Selma”? AD: Yes, I think everything that I have done has led up to this point, including the fact that I would not be sitting here today talking about “Selma” if it wasn’t for Roger Ebert. Because my first feature, “I Will Follow,” was going nowhere until he reviewed that film. When he reviewed it the first time a couple of people called and said “Oh yeah, we want to review it.” When he reviewed it the second time on his TV show, five more people called. By the time he did his third review on his blog and tweeted about it 27 times, he was a champion for that film and for me. He was an advocate for that film and for me and he lifted that film out of obscurity and single-handily gave me the confidence. For one person with that kind of voice…sorry I’m going to get emotional…one person who gave me the confidence to say “O.K. maybe I can do this.” Having a review from Ebert that was that effusive and passionate made me think, yeah, I can really do this and that’s when I started to put together “Middle of Nowhere” and people started to pay attention to what I was doing. 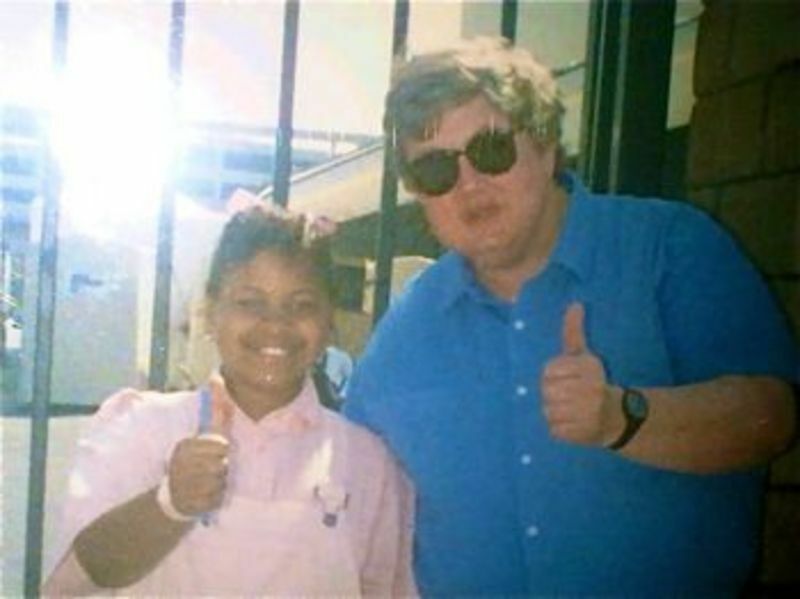 “Middle of Nowhere” led to meeting David and eventually “Selma.” So I can very clearly trace it back to the first day of that review because before that I was just a publicist who had made a $50,000 film. No one was looking at it, it was going nowhere and he broke it open and that was just four years ago. Finally, let me ask you both a question that I always love to ask—what do you know now that you wish you had known when you started out in this business? DO: (laughs) Well...it’s something that I had a notion about and it’s been confirmed by this experience. That no one is going to tell our stories better than we can. And not only that but also that we have to focus on power. Having the kind of power that enables us to tell our stories. And why I say that is because when I first left drama school, to any agent who was interested in taking me on I would tell them that I wanted to go up for roles that are non-race specific. I want you to put me up for roles that white actors are up for and some agents laughed at me. But I stuck to that being a determinate factor and it led to me playing Shakespeare’s Henry VI at the Royal Shakespeare Company, a role that no other black actor had been given the opportunity to do before. And I think the reason why there is a bridge between that and now is because I have watched Oprah Winfrey be the difference over those seven years of this film actually getting made. And I’ve watched Ava in her determined, not-waiting-for-anyone-to-come-along-and-help-her way be the thing that leads her to this moment as well. From her first $10,000 movie to a $50,000 movie to a $200,000 movie that gives me the tools to the producers of this movie, and say look how excellent she is, give her the reins to this $20 million movie. So it’s excellence, and when you are given the opportunity to build on power…and by power I mean power that you don’t give away. Power that you maintain and continue to tell your own stories regardless of whoever is out there who may or may not help you. I’m glad that it’s a notion I had that has been confirmed by this experience. Because I truly believe that the way that we see more of the films that we want to see as black people, within the entertainment industry is to not now sell the farm, not now take the Cadillac, not now to say: “Oh we’ve done this film. Take me I’m yours” No,no,no. We just have to continue to build on what the basis of what got us here in the first place. AD: For me, it is that permission is myth. And that’s not something I knew when I started. I was begging for money, begging for a deal, begging for permission to make a certain film, and always trying to get in and network and angle and figure out who was going to help me. But the minute I realized that there’s nothing to ask permission for and that I just need to go out and tell my story, then things really changed for me. It’s not cocky, it’s not even confidence. It’s just a knowing that there’s nothing that anyone can give me that I can’t do for myself in regards to my films. And yes, I don’t have $20 million, but if I wasn’t making “Selma” then I would be making something else that I Iove for whatever I have. So that is a huge thing that I wish I had known maybe six years earlier.